Work and love rarely belong in the same sentence, but most careers usually do begin with a spark. Something–or someone–ignited your curiosity about design. For our final installment of our summer series on designers’ major firsts, we asked 11 designers who, or what, made them fall in love with with the field. From Paul Rand and Barbara Kruger to Alan Fletcher and Michael Doret, there’s plenty of inspiration in this one. Read on to discover a new design love (and read installments one, two, three, and four if you haven’t already). 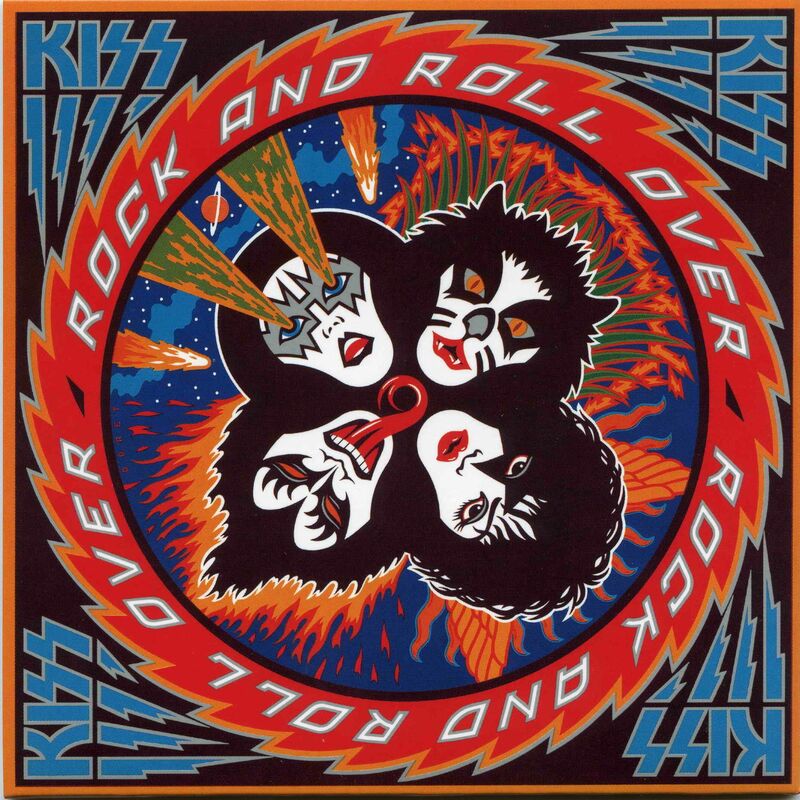 My first design love and a piece that continues to inspire me is the cover of Kiss’s Rock and Roll Over, designed by Michael Doret. The first time I saw RARO it blew my 13-year-old mind. The laser-beam eyes, the lightening bolts, and the way Gene’s tongue snakes around the spindle—it inspired me to become a graphic designer. Over the next few weeks I started designing my school’s newspaper and yearbook and later went on to study graphic design at The Cooper Union. Shortly after I started teaching at Cooper Union, I was presenting my work at a conference and showed how RARO had influenced me with the caption, “The greatest piece of graphic design in the known universe.” After the talk, a friend asked if I knew Michael Doret and immediately handed me a phone. I nervously explained to Michael how his work had changed my life and he generously asked about my practice. I mentioned my new gig at Cooper Union, and his reply freaked me out! “Oh really, I went to Cooper Union.” Michael’s work moved me to become a graphic designer and to attend his alma mater. It was graphic design destiny! My first design love was Dennis de Groot (he goes by Punchdouble) for his design and illustration work. He’s a friend and rad illustrator based out of Amsterdam. Dennis was the first person to introduce me to the formalized practice of design and was extra generous with his knowledge and tools. When I was a student at the Cooper Union School of Art, I took a typography class with the French designer Philippe Apeloig. Although I had a vague idea that I wanted to be a designer, I did not understand passion for design until I met Philippe. His almost obsessive commitment to typography and design excellence is uncompromising and contagious. Today, as a professional and a peer, I still look to Philippe as a fearless designer who maintains the highest standards. My first design love was El Lissitzky. Having grown up in the Soviet Union, I was sadly unaware of the massive influence of the Russian Constructivist artists and designers on the field of commercial art and design. By the late ’80s the names of many of those pioneers were not really discussed much in the Soviet schools. I learned about them and saw the work for the first time when I was already attending The Cooper Union School of Art in New York. The work made a massive impression on me—I couldn’t believe I had no idea they existed! I was astounded by the force of the compositions as well as by their staggering beauty. Lissitzky stood out for his formal balance and brilliance. It all looked so effortless and perfect. I wanted my work to have the same feeling and balance, so I spent lots of time poring over images of his work and took a lot of cues about structuring compositions, especially in framing work. That sensibility is still very much present in the way I think about forms and space. I’m so grateful to have had countless influences: artists, graphic designers, and illustrators who I’ve met (e.g., Edward Gorey) or whose work I studied, along with myriad images I’ve seen in books or museums (thanks initially to my art-loving mother). I’ve also been influenced by numerous unknown artisans, such as those whose small animals are in the Egyptian wing at the Metropolitan Museum. I see (and save) all kinds of images on Pinterest that inspire me every day—calligraphy, neon signage, embroidery, packaging, etc. My first heroes were painters: Malevich and Schwitters in particular. Joseph Cornell, too. They could make whole worlds out of the simplest shapes, or tiny scraps of paper. I try to save love for humans and art, not design. Just kidding, the FedEx logo. As a young designer in school I was inspired by artists who were working on the border of art and design, or referencing popular culture and the political world in their work. Artists like Barbara Kruger, Jenny Holzer, and Richard Prince. I also found inspiration in early film titles, weird packaging, and vintage books. I didn’t actually feel inspired by designers in the industry until much later in my career. I do think that the Eames (as popular a reference as that is!) were later a real inspiration to me, and to 2×4. They were media agnostic and demonstrated a keen ability to work in everything from furniture design, to film, exhibition, and simple pattern making. That was always my wish, not to be tied to one form or expression in design, but to cross disciplines and make work that addressed a particular problem, regardless of the formal outcome. One of my first design loves was Alan Fletcher and more specifically his book The Art of Looking Sideways. I remember pulling it off the shelf in the bookstore and smiling as I realized that the cover of the book explains itself; one needs to look sideways to read it. The Art of Looking Sideways is all about learning how to see, how to think visually, and how to communicate through images. Fletcher’s wit, his questioning of common knowledge, and the beautiful visuals captured my imagination. He inspires me to have fun in sketching out a broad range of possibilities—even irreverent ones—whenever I’m designing. I was lucky enough to meet Alan Fletcher as a student in Basel, CH, when he attended an exhibition of work just before he passed away. He’d probably be rolling over in his grave knowing that Amazon rotated his book cover 90 degrees so one no longer has to turn their head sideways to read it.